This unusual new book stands out in a crowded field. 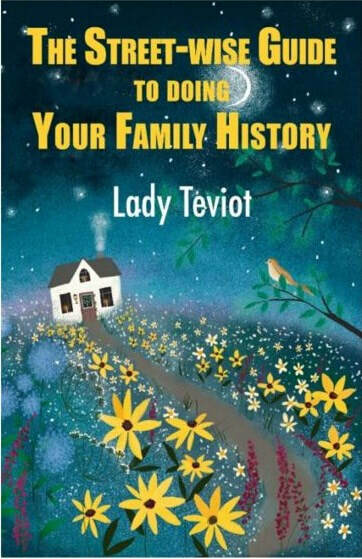 Lady Teviot is an internationally known expert on family history research. She was President of the Federation of Family History Societies from 2001 to 2011 and is now a lifetime Vice-President. She is also Chairman of the Friends of The Keep Archives and a Member of the Council of the British Records Association. She has featured in several of the very successful series of ‘Heir Hunters’ on BBC1 television. "Lady Teviot has distilled over half a century's experience of family history research into this detailed yet highly approachable guide. Her style engages the reader from the outset, and succeeds in conveying a wealth of information through combining clearly-presented fact with details of her own genealogical journey, which has taken her from a beginner to a researcher with an international reputation. Every aspect of family history is covered, with hints and shortcuts which will smooth the beginner's path in what can be a treacherous field. And don't think this book is just for the inexperienced – I have been working with records for over 40 years and as well as enjoying some new family history anecdotes, learnt much about the record sources which some of us take for granted. You may not be a Street-wise genealogist when you embark on this book, but you certainly will be when you finish it." EER Edward Everett Root Publishers, Brighton, England.